Updated Thursday December 20, 2018 by SLL. When does the season start and how long is it? Sunrise conducts two (2) separate baseball seasons, our Spring and Fall programs. · Spring Season: Our primary season is the spring, which is sanctioned, governed and chartered by Little League Baseball. In the spring, opening day is the first Saturday that is closest to March 1st and the season will continue through late May/early June. · Fall Season: Typically the first game is scheduled for the Sunday after Labor Day Weekend. However, if Labor Day falls late the first week of September games may begin on Tuesday after Labor Day. The season ends the weekend before Veterans Day. How many baseball games are there and what day of the week are the games scheduled? When do the practices start and how many practices per week are there? Practices will start approximately one month prior to the start of the season and teams typically have one to two practices each week depending on the division of play. The league does not set the dates and times of practices. All practices are scheduled by the manager of the team. Once you are placed on a team you will receive a practice schedule from your manager. Where can I register my child for baseball? All registration is completed online. Please visit sunrisebaseball.com and click on the registration button. Registration is not complete until payment and snack shack deposits have been received. In order for your child to be drafted onto a team both the payment and the snack shack deposits must be received. If you pay by check, your child may be placed on a waiting list if payment has not been provided by the registration end date. Payment can be mailed to: Sunrise Little League, Attn: Registrar, 20058 Ventura Blvd. #14, Woodland Hills, CA 91364. How much does it cost to register and what do the fees include? The cost depends on the season and time of registration. We offer early-bird discounts and sibling discounts. In the spring, the registration fee includes a team jersey, hat, yearbook, trophy and basic picture package. In the fall, the registration fee includes a team shirt and hat. A late fee does apply if you register after registration is closed or at tryouts. Click here to see our current registration fees. Other fee’s include: Snack Shack Deposit, Team Fund, and Spring Raffle Tickets. What else do I need to provide to complete my registration? To complete the registration process, you’ll need to show the player’s original birth certificate, 3 proofs of residency and in the Spring - TWO (2) snack shack deposits of $150.00 each / in the Fall - ONE (1) snack shack deposit of $150 payable to Sunrise Little League. Please bring everything the day of try-outs. What is the snack shack, and why do I have to submit $150 deposits? Sunrise Little League is a volunteer-based league and is completely run by volunteers. We need support from every family to ensure a successful little league program. During the spring season, each family is required to work two shifts (per child) in the snack shack. During the fall season, each family is required to work one shift (per child) in the snack shack. Each shift lasts approximately 2 ½ hours. You are required to leave a $150 deposit either by check or credit card for each shift required. Once your shift is completed, your $150 deposit will be returned to you. Check deposits will NOT be deposited unless you do not show up for your assigned shift or you do not sign up for a shift. For more information about the snack shack shifts click here. What is the team fund and why am I asked to contribute? Because our managers are volunteers they need help to cover any additional expenses incurred to run the team which may include but is not limited to additional baseball’s or other equipment, outside field rental or cage rentals, team banner, opening day expenses, team party and manager, coaches and other helpers gifts. Typically the team fund is $50-$75. In the Spring Season why do I have to sell Raffle Tickets and get a Team Banner Sponsor? The league fees do not cover the cost of running the program. Therefore, we need to ask each family to help us with our two biggest fundraisers of the year. A league wide raffle program and getting a team banner sponsor help defray the cost of our program. Without these two valuable fundraisers we would need to greatly increase registration fees higher for each child to cover costs. Each player is asked to participate in the raffle program of which the specific prizes and ticket buying will be determined at a later date but will be a cost of $50 per player. Each team is asked to find a local business within our community to sponsor their team. This is a great link between Sunrise and our local community. If you can help your team to find a sponsor that is great but not any family's sole respnosibility. Do we need to live within Sunrise boundary area to have our child play here? What are your league boundaries? 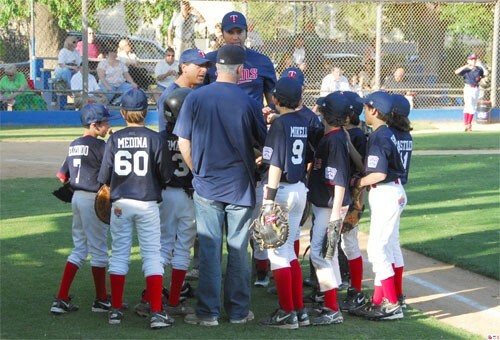 Each Little League has geographic boundaries that determine which league your child should play in as governed by Little League International. At SLL we support this Little League policy. Click Here to see SLL Boundary Map. We also understand that you may desire to have your child(ren) play out of the area so that your child(ren) can play with friends. However, any player that prefers to play at SLL and lives outside the designated boundary lines shall be ineligible for any postseason All-Star teams sanctioned by SLL and must contact the registrar at registrar@sunrisebaseball.com to obtain a waiver to play PRIOR TO THE START OF THE SPRING SEASON. Waivers are not automatic and are subject to the League whose boundary you are in and District 40 Little League approvals with final approval determined by the Charter Committee of Little League International. If we live outside the boundaries for Sunrise but attend school within the boundaries of Sunrise can we play at Sunrise? In an effort to allow schoolmates and friends to play Little League Baseball together, the residency rules have been expanded to include the location of a child's school regardless of the residence. So if a family lives outside the Sunrise boundary but attends a school inside the boundary, that child meets the residency requirements to play at Sunrise. To verify enrollment the school enrollment form must be filled out and returned for the current academic year. At what age can my child play at SLL? How does league age differ from actual age? The league age is your child’s age as of August 31, 2019. Click here to see a league age chart. Please register your child for the appropriate program based on his/her league age. Please ask one of the league representatives if you are uncertain. SLL serves children league ages 4 - 12 at our facilities. Intermediates division players (league ages 13), can register at Northridge Little League under the Sunrise Boundaries. What equipment does my child need to participate? Your child will need rubber cleats, baseball pants, glove, batting helmet, and for boys an athletic cup. It is highly recommended that you have your own bat and equipment bag. Getting the right size bat will have a direct impact on your child's skills development and enjoyment of the game. We highly recommend NOT buying a bat that is too big, with the assumption that he/she will "grow into it." The bat must be a baseball bat which meets Little League specifications and standards. It shall be a smooth, rounded stick and made of wood or of material and color tested and proved acceptable to Little League standards. It shall not be more than thirty-three (33) inches in length nor more than two and one-quarter (2¼) inches in diameter. Non-wood bats shall be labeled with a BPF (bat performance factor) of 1.15 or less. For the Little League (Majors) and below, for regular season play and Tournament, composite bats are prohibited unless approved by Little League International. View the list of approved and licensed composite bats. For more info on Little League Bat Info click here. Can I request that my child play in a certain division? Sunrise cannot guarantee that a child will move up or be placed in a specific division with his/her peers. However, a request may be made by a parent to hold back a child in a division. Please understand that all players are evaluated during tryouts and many factors go into a draft. Your child will have a much more successful and satisfying season playing at the appropriate level. Can I request to play on the same team with a friend? In Wee-Ball and T-ball, we will try to accommodate ONE friend or carpool requests; however, because we try to keep the teams balanced and fair, we are unable to honor these requests in coach pitch through majors. I have sibling playing in the same division. Can they be on the same team? All siblings in the same division, except Majors, are automatically placed on the same team unless requested otherwise. In the Majors division we will do our best to put siblings on the same team but it is not guaranteed. Can I request my child play on a team with a specific manager? SLL does not accept request to be on a team with a specific manager. You may speak directly with the manager and express your desire to play on his/her team but it is their decision to choose the players for their team during the draft. Can I request my child not be picked by a manager? You may request to not be on a team with one specific manager. You can only put in a request to pass on ONE (1) manager per season per division. You can make your request during registration in the comments section. Your request will be kept confidential unless your child is picked by that manager during the draft. At that time we would have to disclose your request. This does not apply to the Majors Division. We do not take "Manager Pass Requests" in the Majors Division. Does my child have to try-out and when is it? At SLL we want to preserve the enjoyment and love that our kids have for baseball. We do not want to place kids in situations where there is little chance of success. Because of this it is essential that all players tryout. Each child is evaluated during try-outs to keep the teams balanced during the draft. Know there are NO cuts at Sunrise Little League. Tryouts are simply an evaluation. Every child with completed registration at SLL will be placed on a team. The tryout schedule is posted on our website. Please bring your child to the field 15 minutes prior to his/her scheduled try-out to allow time to sign in and warm up. What does my child need to bring to try-outs? Please have your child dressed in baseball attire or comfortable clothing (i.e. sweats) and bring his/her baseball equipment: glove, bat, batting helmet, rubber cleats, and hat. All boys must wear a protective cup. What if my child can’t attend try-outs (due to vacation, illness)? While we highly encourage all players to try-out, we understand that things come up that make it difficult for a player to attend try-outs. If your child is unable to make it to tryouts he/she will be drafted based on past experience at SLL or based on the experience you provide to us during the registration process. If your child does not tryout they may be placed in a lower division than you find satisfactory so it is imperative that you make all attempts necessary to make tryouts. If you cannot make tryouts please indicate that in the comments section during the registration process. If you have any additional questions, please contact Tracy Riepl at Registrar@sunrisebaseball.com. Thank you!